Modern living has spawned several unhealthy lifestyles that have resulted in families’ poor focus on nutrition. This in turn has become a major health hazard, causing diet-related illnesses like obesity, diabetes, hypertension, heart disease, cancer and osteoporosis, to name a few. However, modern living need not have to hamper your fast-paced but healthy lifestyle. Needless to say, eating nutritional foods and observing healthy eating habits should really be taken seriously in every household. 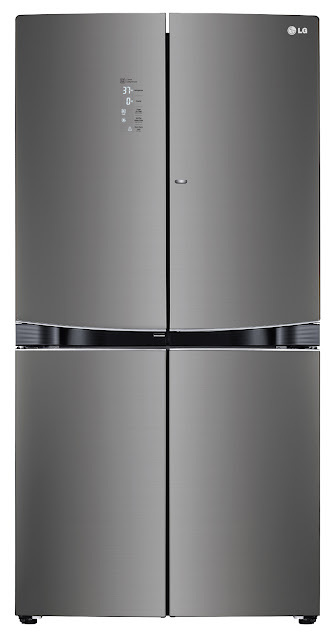 If there is one prominent appliance that can play an important role in the food and nutrition of families, it is the LG Linear Inverter Dual Door-in-Door refrigerator, where global technology innovator LG has come up with the most advanced combination of technology and design. 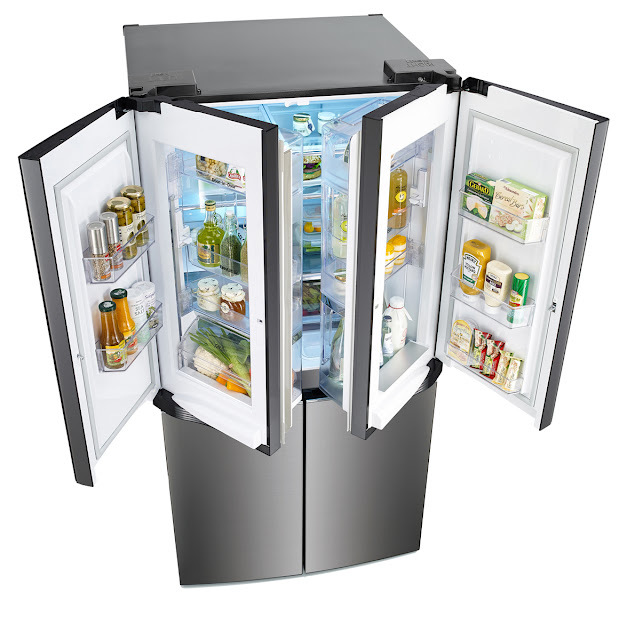 LG’s Dual Door-in-Door™ maximizes space, allowing you to stock weeks’ worth of nourishing supplies and have the right food for your family at your disposal, without the time-consuming trips to the grocery or worries of spoilage. LG’s Hygiene Fresh+™ technology uses a five-stage filter that eliminates most food spoiling agents such as dust, fungi spore, acidic and alkaline odors and bacteria. The system removes up to 99.999 percent of air-borne food contaminants and purifies the air inside the refrigerator so that fresh produce and perishables last longer. Buy a variety of fruits, store pre-cooked meals that you and your kids can bring to the office or school or toss up salads to put in containers inside the refrigerator so that you will never have to worry about skipping meals or buying greasy and artificial food from outside. The right refrigerator can help you plan your menu for at least two weeks and safely store the ingredients, maximizing time spent in the market or grocery. Designed with exterior door storage plus another layer between the outer and inner storage, LG’s revolutionary refrigerator allows you to place your favorite food in an easy-to-reach area while dramatically reducing cold air loss. The outer door area provides quick access to snacks and drinks without cold air escaping from the inside, which cuts energy costs and keeps food fresher longer. Furthermore, LG’s standard Inverter Linear Compressor not only reduces energy consumption inside the refrigerator, but also brings down both noise levels and internal friction so that more energy is used for cooling. Equipped with next-level technology, the premium LG Inverter Dual Door-in-Door refrigerator is currently in the market for PHP 169,995 (35 cu.ft) and is backed by a 10-year LG warranty. For more details, visit www.lg.com/ph, like LG Philippines’ official Facebook page or follow @LGPhilippines on Twitter and Instagram.